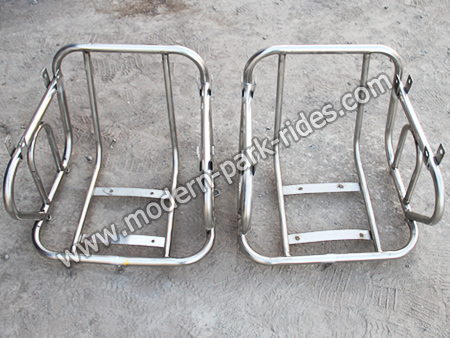 Modern Amusement supply variety accessories for many kinds park ride. as follow:horses, led lights, tires, connecting rod, crank arm, seats, motors, insulation pads, belts, bearing plate, gear, conductive ring, polyurethane wheels, belt, screw, steering wheel, track, stepping platform, platform , transmission, cylinder, bolt, kiosk, signs, guardrails, plates, gas pipelines, columns, decorative glass cockpit and other. When you need some accessories,please tell us your requirements, like size,model,and photoes ect.,We will reply you promptly and supply our best service!